Finding effective, natural skincare that makes a real difference to ageing skin can sometimes be difficult, but thankfully, many more 'green' brands are starting to invest in innovative technology and there's a lot more choice out there. One of the latest skincare brands to emerge onto the market are Nakin; a British company whose products are all made here in the UK. 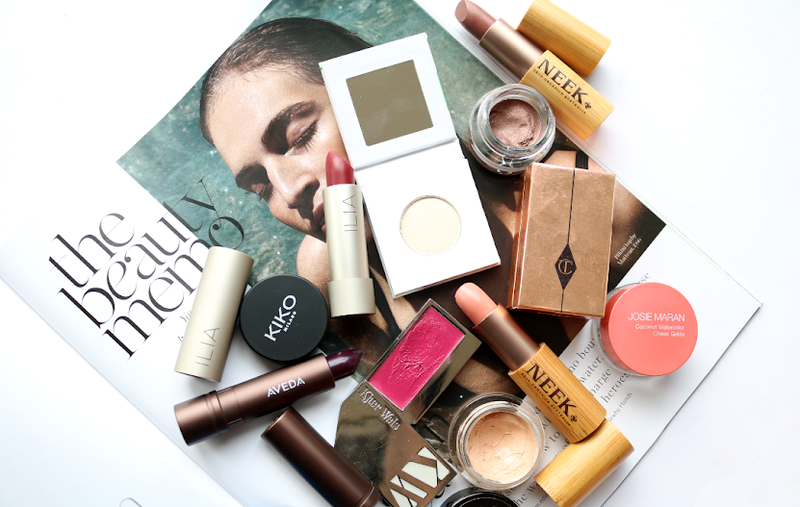 They're cruelty-free (Leaping Bunny certified) and their skincare is free from Parabens, SLS, Petrochemicals, artificial fragrance and colours, PEGs and Propylene Glycol. Nakin offer high-performance products which feature cutting edging dermal science know-how and advanced formulas which are as natural and clean as possible. What I like the most about Nakin is that their skincare has been designed to be gentle and suitable for sensitive skin, which makes a change from many other anti-ageing skincare lines which can be too harsh and too aggressive in the pursuit of a younger and fresher looking complexion. I also love Nakin's clean and simple packaging which looks luxury and very Instagram-friendly, but comes with a surprisingly affordable, mid-market price tag. There are currently eight products in Nakin's essential skincare range and this streamlined approach makes shopping for new skincare so easy and hassle free. 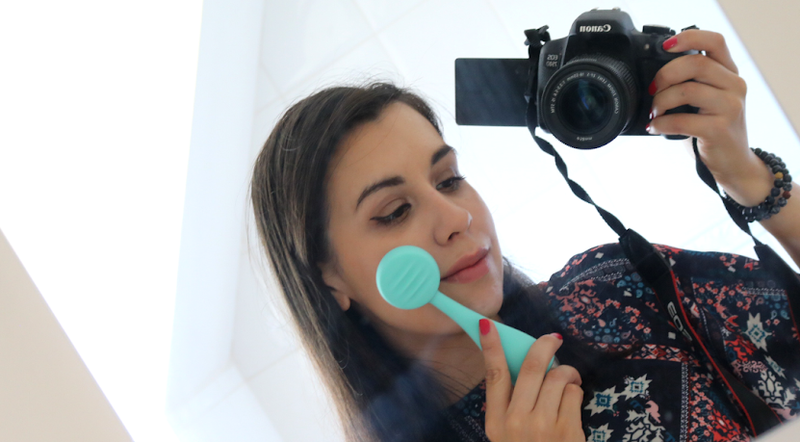 I've been trying out two of their products over the past month, so here are my thoughts! In the evenings, I've been using the Anti-Ageing Performance Face Serum after cleansing and toning, and before applying my regular night cream. This serum is suitable for all skin types, including sensitive, and it has a lovely, subtle and fresh scent to it. It's packed full of natural actives such as Hydrolyzed Hibiscus Extract (known as 'natural botox' thanks to its powerful anti-wrinkle properties), Hyaluronic Acid (a fantastic ingredient that helps to boost hydration by locking in moisture), Green Tea (famed for its antioxidants), Pomegranate (helps to reverse damage caused by the sun) and Rosemary Leaf Extract (protects collagen and elastin fibres). The consistency of the serum is like a light gel that is easy to massage into the skin, and it absorbs quickly without any stickiness afterwards. I must admit that I didn't see any difference to my skin within the first couple of days of using it, but within two weeks of everyday use, my skin began to feel much softer and smoother, and the drier areas of my face were considerably more balanced and hydrated. 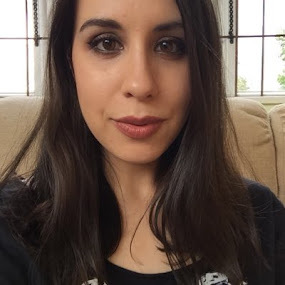 I also noticed that some of the fine lines around my eye area were more plumped out and less visible, so I'm looking forward to continuing using this to see if the results get even better. 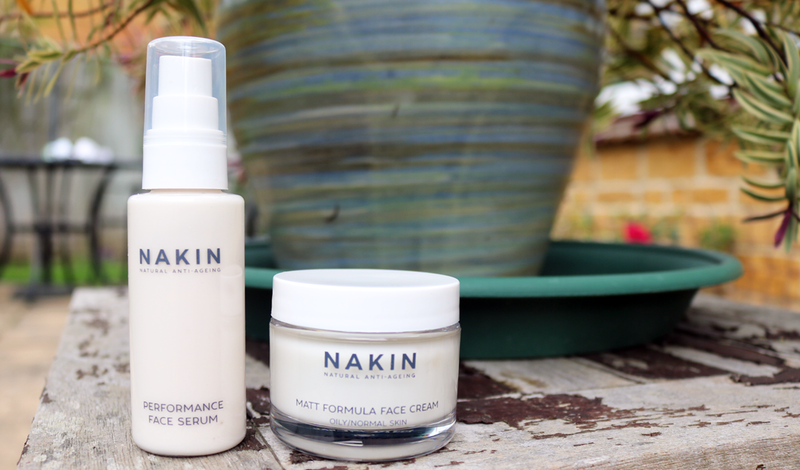 Nakin have two face creams in their range and their Matt Formula Face Cream has been specially formulated for those who have oily, sensitive and normal skin types. Featuring a Glycerin, Shea Butter and Jojoba Oil base, this face cream also contains natural ingredients such as Pomegranate Extract, Hyaluronic Acid, Baobab Oil, Argan Oil and Olive Oil, resulting in a lovely everyday moisturiser which hydrates, balances and firms the skin. This cream feels very luxurious when you apply it as it has a rich and silky texture, and there's a pleasant light, fresh scent. I was initially concerned that this moisturiser was going to be too heavy for my oily/combination skin, so I was pleased when it absorbed easily and gave me a shine-free finish. It also provides an excellent smooth base for makeup, so I love using it first thing in the morning when I'm getting ready - you can easily skip the primer step when you use this! Nakin are available online from nakinskincare.com and via selected stockists including Ocado. Do you like discovering new natural skincare brands?